Cancer, pulmonary fibrosis, lung cancer, Cancerous Hydrothorax, liver fibrosis, liver cancer, other tumours. Graduated from Dalian Medical University, Wang Lin is the director of Oncology Department of Dalian Hospital of Traditional Chinese Medicine, member of Cancer Foundation of China(CFC), vice chairman of CFC Dalian Branch, member of Cancer Society of Liaoning Province, member of Dalian Branch of Chinese Medicial Association, chairman of Dalian Cancer Committee, councilor of Dalian Association of Integrative Medicine and professor of Dalian Health System. 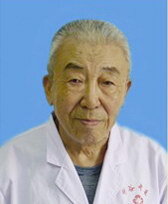 Having worked as a doctor for over 60 years, Wang enjoys rich experience of traditional Chinese medicine and earns high reputation on treating cancer and tumour.